"[Todd] has a great legal mind and his customer service skills are phenomenal - he always follows up." 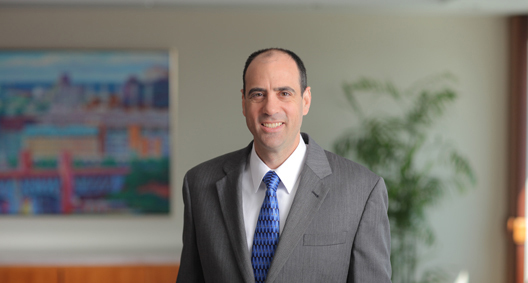 Todd Lebowitz has a practice niche handling independent contractor misclassification disputes and joint employment issues. He has successfully represented clients in defending claims of misclassification, obtaining outright dismissals in class actions and settlements as low as zero dollars, based on programs he has developed for clients. Todd advocates that companies using independent contractors take a proactive approach to evaluating their contracts and practices. There are almost always facts that can be changed to protect companies against misclassification challenges without sacrificing business needs. Todd’s clients range from Fortune 500 companies to regional and mid-size businesses, and his proactive approach includes designing and implementing customized strategies for reducing misclassification risks — but in a way that makes business sense. Todd particularly likes the challenge of designing multi-state independent contractor programs, taking advantage of his understanding of the myriad state and federal tests for determining who is an employee. Todd’s blog, WhoIsMyEmployee.com explores issues related to independent contractor misclassification and joint employment, providing valuable information about risks, tips, trends and developments (sprinkled with vaguely related classic rock and '80s pop culture references). Todd maintains a national employment litigation practice and also practices in the area of sports law. He has litigated employment discrimination cases in more than 20 states, and he regularly advises clients on resolving complex, day-to-day personnel problems covering the full scope of employment-related concerns, including background checks, hiring, disability issues, medical leaves, FMLA, discipline, terminations and reductions in force. His approach to employment law is to help companies solve legal problems in a way that makes business sense. Todd is certified as a specialist in Labor & Employment Law by the Ohio State Bar Association, and he has been recognized in Chambers USA and as an Ohio “Super Lawyer.” He speaks around the country on employment law issues, especially independent contractor and joint employment matters, and he has been consulted and quoted many times by national media sources on independent contractor and joint employment issues, including on CNN, Bloomberg, and others. In the field of professional sports, Todd completed a research thesis titled “The Effect of Financial Reward on Intrinsic Motivation: A Study of Long-Term Contracts in Major League Baseball,” before entering the practice of law. His study received national press coverage for its conclusion that players elevate their motivation and performance levels the year before they enter the free agent market. Todd currently serves on the board of directors for the Society for American Baseball Research (SABR), where he has been a member since 2000. Independent Contractor Misclassification Issues: Co-founder of multidisciplinary task force to advise employers on the use of non-employee workers, including independent contractors and staffing agencies. Multidisciplinary approach includes evaluation of employment, benefit, and tax issues, including Affordable Care Act compliance, as well as analysis using the multitude of federal and state legal standards. Actively works with national and regional employers to evaluate and advise on their use of independent contractors and regularly reviews master service agreements with staffing agencies. Recent risk assessment projects include company-wide analysis for a national insurance company and an international provider of audio and infotainment equipment. Multiple ongoing independent contractor and joint employment projects, including proactive risk assessment and redrafting agreements, for nationwide clients across various industries, including insurance, electronics, manufacturing, property management and retail. Drafted and negotiated player contracts for a Major League Baseball team. Representation of Society for American Baseball Research (SABR) in broad range of legal matters, including drafting and negotiating business contracts with various industry partners, employment, and intellectual property protection. Representation of MLB player in iPhone data breach and related investigation and data privacy protection strategies. Representation of retired NHL star victimized by wine futures fraud scheme; recovered several hundred thousand dollars. Independent Contractor Misclassification and Joint Employment Issues: Co-founder of multidisciplinary task force to advise employers on the use of nonemployee workers, including independent contractors, staffing agencies and vendor labor. Multidisciplinary approach includes evaluation of employment, benefit and tax issues, including Affordable Care Act compliance, as well as analysis using the multitude of federal and state legal standards. Actively works with national and regional employers to evaluate and advise on their use of independent contractors and vendor-supplier workers; regularly reviews master service agreements with staffing agencies; and helps clients proactively reduce risks. Obtained dismissal of a California class action alleging independent contractor misclassification and California Labor Code violations, with zero dollars paid to the plaintiffs. Dismissal resulted directly from changes to client’s independent contractor program that Todd had drafted a year earlier. Won motion to dismiss putative class action filed by independent contractors alleging violations of the Fair Credit Reporting Act. Todd prevailed by demonstrating to the federal court that the FCRA provisions did not apply, despite published guidance to the contrary by the Federal Trade Commission and despite claims by the contractors that they should be permitted to adduce evidence to try to show that they were employees. Obtained reversal of independent contractor misclassification finding by New York State Department of Labor, after $420,000 in back assessments had been issued against the client, stemming from a filing for unemployment benefits by a single individual. Todd was hired three weeks before the hearing, after previous counsel had told the client that the case was unwinnable. Background checks: Regularly advises employers and consumer reporting agencies on nationwide background check requirements under the Fair Credit Reporting Act and state and local laws, including ban-the-box developments. Advises clients on best practices in light of the patchwork of federal, state and local laws and the EEOC's current enforcement priorities and its disparate impact theory. Successfully defended a multistate retailer in a putative class action alleging willful violations of credit card truncation requirements in the Fair Credit Reporting Act. Novel strategic approach and defense strategy resulted in an extremely favorable settlement for the client and avoidance of class certification. Successfully avoided class certification and obtained summary judgment for a manufacturing client in an FLSA misclassification case alleging failure to pay overtime to shift supervisors. Drafted arbitration agreements, employment agreements and master services agreements for clients across multiple industries and in multiple states. Fully admitted to practice in 10 federal and state jurisdictions; has litigated employment disputes in more than 20 states, including pro hac vice admissions. Drafted a contract covering SABR's development of the SABR Defensive Index for use in the Rawlings Gold Glove Awards balloting process. Drafted player agreements for eSports team. Drafted a uniform player contract for a professional soccer league (now defunct). Representation of baseball trainer and inventor on patent matters.